The Central Oregon Nordic Club has come up with yet another way to help skiers and snowshoers follow routes from area sno-parks, particularly those who are unfamiliar with the established trails. 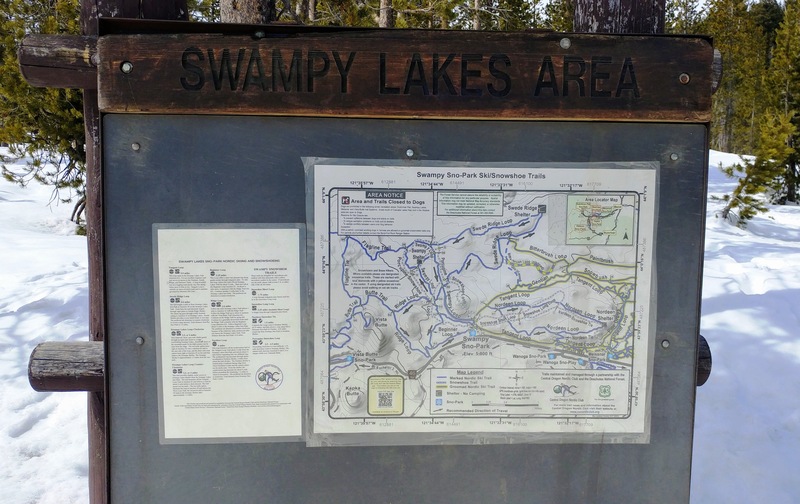 Volunteers have placed laminated posters with trail descriptions on kiosks at the Edison, Swampy Lakes and Dutchman Flat sno-parks. One was also placed on the kiosk at the start of the Dutchman Flat trail system after leaving Mt. Bachelor’s Common Corridor and crossing the highway. The trail-description posters help snowshoers and skiers choose routes that are appropriate for them based on skills and time. The descriptions will be placed next to maps that can be picked up at trailheads. “It’s something that helps people decide where to go when they are completely unfamiliar with the trails and just show up at the trailhead,” says Susan Sullivan, CONC vice president. The descriptions list the full distance of various routes from the time somebody leaves the parking lot until his or her return. They also include other details about the trails, including junction numbers. “If you look at our maps, there is nothing on there that tells people how far – what the distance is from one point to another,” says Jo Keen, secretary of the CONC board. In years past, the trail descriptions were printed on the back of the maps, which are paid for by CONC and placed at trailheads. “We thought about doing that again, but that doubles the cost of the paper maps,” Jo says. Plus, most of are thrown away once skiers and snowshoers finish an outing. “So the board talked about it and decided it would be a better idea if we made a laminated poster with that information on it and posted it at a kiosk at the trailhead,” Jo says. These descriptions are also on the CONC website. These photos show what the signs and maps look like.